The North Central Chapter holds two native plant sales each year, one in Spring and one in Fall, usually May and either late September or early October. 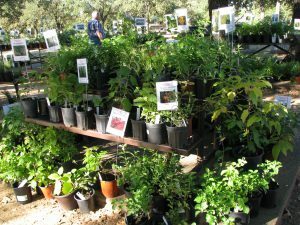 The next native plant sale dates are May 4, 2019, and October 5, 2019. Mark your calendars! 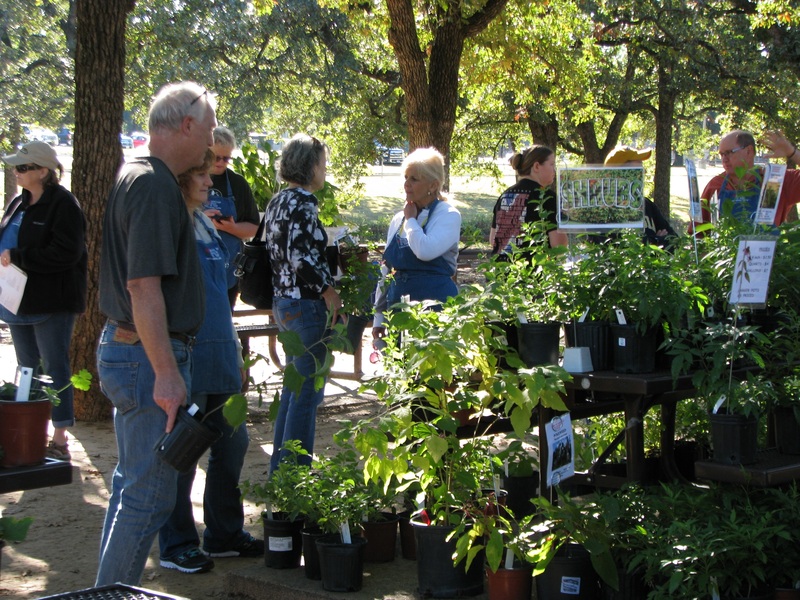 This Sale features a large variety of Texas Native Plant species good for our soils and climate. Native Plants make healthy Habitats: • No need for pesticides or fertilizers • Low water requirement. • Host plants for Butterflies • Nectar Plants for Pollinators. Many hard to find species including: • Ground covers • Perennials • Shrubs • Vines and Trees. These plants are often not available in the commercial nursery trade, yet are wonderful additions to your landscapes and gardens. 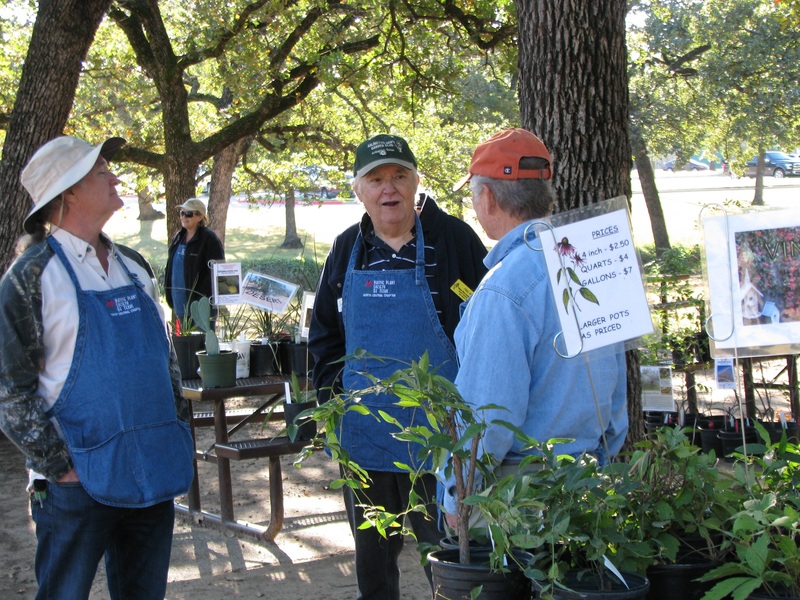 Our sales help educate others about native plants' characteristics, growing conditions, benefits for birds and butterflies, etc., and increase their use in our local communities, helping restore what once dominated this region, to keep the local ecosystem functioning. We are all a part of nature. Help support the web of life by adding more native plants to your landscape. We anticipate having approximately 1,500 plants available for sale from ~100 different species so there is something for everyone. However, due to high demand, many plants do sell out quickly. Start planning your landscape design now, to prepare your shopping list of native plants you are looking for. At the sale, ask a volunteer to help you locate them. If there is a particular native plant you are wanting to buy, let us know and we will inquire with members / plant donors to try to have it at the sale. Pricing: Generally, we have three standard prices, but there are exceptions for uncommon and or difficult to propagate plants, in which case the price is marked on each plant. Larger pots are all priced as marked by each member / grower / donor. For an idea of what species might be available at the next sale, click on this Plant Sale Species List of what was available at all prior sales. Availability is subject to change as we are an all volunteer organization where plants are grown by our members and donated to each sale. If you would like to Participate by providing plants, they must be NATIVE to Texas.